A Penny Farthing bicycle display and photographs of early Montreal Cyclists was held Friday September 21, 2018, as part of Park(ing) Day. This event was to promote the idea of a bicycle path on Sherbrooke street and was held at the corner of Prince Albert and Sherbrooke in Westmount from 10 am to 3 pm. A complete account can be viewed in the minute book. 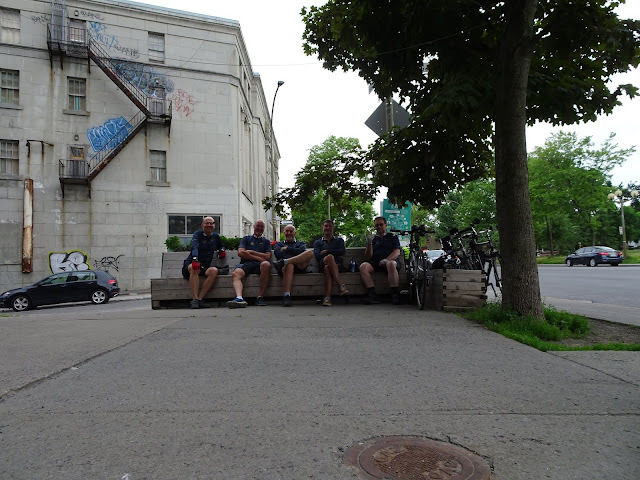 Although the subject of safe access by cyclists to all the main arteries of Montreal is a serious one, I feel that at this time it can be best promoted by having a series of fun social gatherings that encourage people to join in. 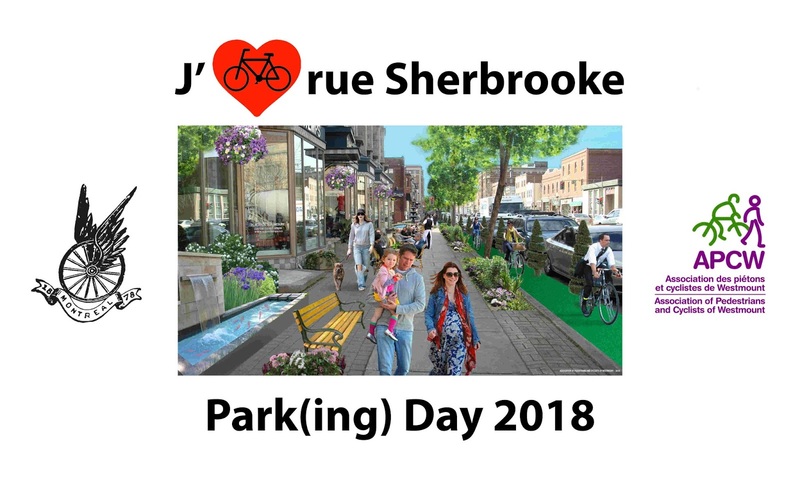 In order to promote the event I placed cards on Sherbrooke street bicycle racks and Bixi stands as well as handing them out to cyclists riding on that street. I was pleasantly surprised to find that after one day most of the cyclists I met already knew of the event by seeing one of the cards. The response to the idea of safe access to this street was extremely positive by those cyclists who use the street. They all felt it is currently a dangerous place to cycle and should be improved.